I just took part in the Readathon held by Lily and Norika and this is the first book I read in those many, yet so few hours. I loved the book. It was truly great. Lara Jean’s character was extremely relatable. Although I found the writing quite kiddish at first, as the book progressed the writing style did not seem too bad. I loved the concept of the book and the fact that it was different from all others. I loved the relationship among the three Song sisters, and how despite everything, they were always there for each other. I have seen dysfunctional families, and theirs despite being one fared off pretty well. And Peter, Oh, my God, do I love him. So hot and charismatic, he stole my heart. 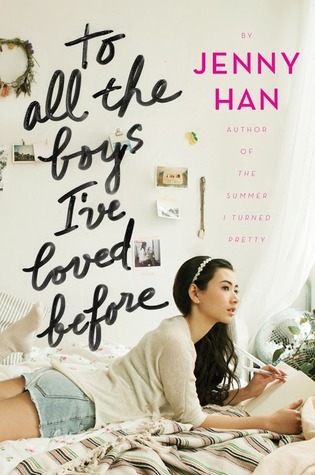 I want a personal version of Peter Kavinsky too. Genevieve is like a typical mean girl, whom I hate too and I cannot imagine how Peter spent 4 years with her. Tell me your views in the comments section. 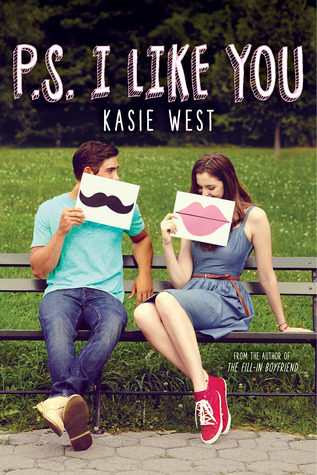 Another heartwarming YA romance novel by Kasie West. I loved the book, though not as much as I loved ‘The Distance Between Us’. It was all that I expected it to be, though a little predictable. It was obvious at time what was going to happen next-like who the note writer was- but the beautiful writing kept me turning the page. It was a light read, especially good for bright sunny days. The book made me smile and laugh quite a few times. Though I felt that Lily was a strong character, I think that there should have been more depth to her friend, Isabel. I also loved the fact that the character’s flaws have been shown. I thought they were expressed very well. I also loved how the author showed family problems and highlighted the theme, appearance versus reality- that what we see may just be an act, that problems may not appear on the surface but may be great depth within. So, lets get started with a book that was originally posted on Wattpad. So I just decided to start a blog about my favorite things in the universe, books. My first review is about one of my favourite books, City of Bones by the amazing Cassandra Clare.